The app requires two devices. One device stays in the child’s room, while the other one stays with you. Initial setup takes less than 30 seconds. Smart night light with adjustable intensity makes it possible to view your baby, even when it’s dark. Reliability and privacy are our biggest concerns. You always know the battery level of the baby station, and stability of internet connection is carefully monitored. In the unlikely event something goes amiss, you’re notified immediately. 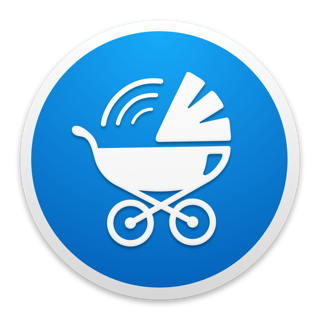 It’s quick and it will help us to improve Baby Monitor 3G to provide you with better features and services. Apparantely this app i’ve paid for was removed. It is still not downloaded. Hi, we're so sorry to hear that you experienced this issue with our app. Don't hesitate to reach out to Apple support as they will be able to find out what could have happened and will be able to refund your purchase. If there's anything we can do for you, don't hesitate to contact us at helpme@tappytaps.com. Werkt best wel goed, gebruiken hem in onze camper. Soms wel wart problemen dat het beeld zwart blijft. Thank you for your feedback. If you are experiencing this issue with our app, could you please write to us at helpme@tappytaps.com and write to us what two devices do you use, which one as the Baby Station and which one as the Parent Station, what version of the operating systems do both devices have and what version of the app is installed on both devices? Could you please make sure the app on the Baby Station is running in the foreground and that the auto-lock feature on that device is set to never? We will do our best to help.